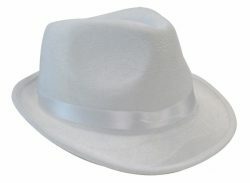 Top your costume off with the perfect hat. 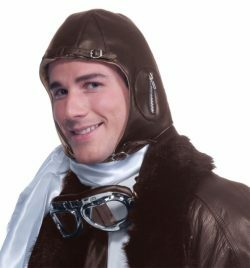 Wool blend black beret. French themed. 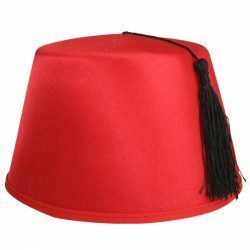 Red satin Fez hat with black tassle. 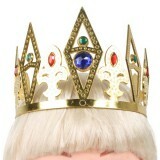 Royal gold crown with diamond shaped jewels. 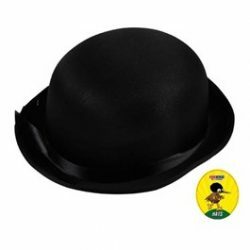 Black feltex character bowler hat. 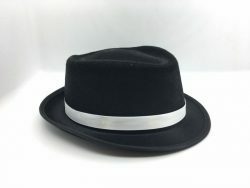 Breaking Bad styled black hat with white ribbon band. 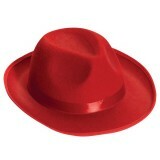 Red felt Fedora hat. Make a statement. 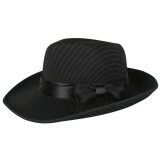 A fabulous gangster pinstripe hat in black with a fine white stripe with black hat band and side bow. 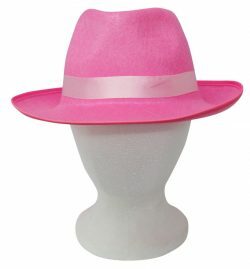 Fluro pink gangster hat with pink ribbon band. 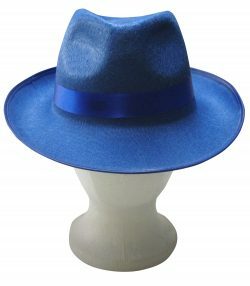 Also available in lime, yellow and purple. 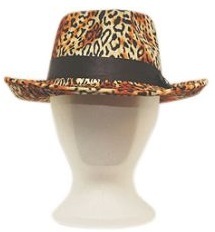 This animal print velour hat is a favourite for pimp costumes. 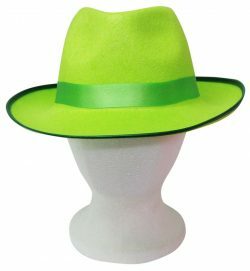 Lime velvet gangster hat with green ribbon. 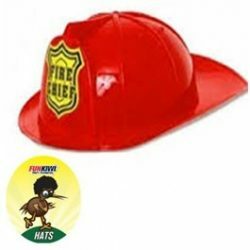 Also available in fluro pink, yellow, blue and purple.